The Lillith Fair of Craft Beer returns for its second year and is moving to Huizenga Plaza in the heart of downtown Fort Lauderdale. 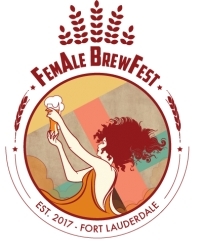 Fort Lauderdale, FL, February 06, 2018 --(PR.com)-- Fem Collective presents the 2nd Annual FemAle Brew Fest on March 24 at Huizenga Plaza - a 1.8 acre park in the heart of downtown Fort Lauderdale with a built in amphitheater. In 2018, the FemAle Brew Fest will host an even larger selection of breweries either owned or co-owned by women or with a female running an important part of the business. With an added inclusion of "Friends of FemAle" which will feature the many breweries around South Florida that have been supportive of women in brewing and this unique festival. "Hard working, innovative women have been overshadowed for too long, especially in typically 'masculine' fields such as politics, IT, and the brewing industry. Historically, women commanded and created the brewing field. Men took over when it proved profitable. I take pride in the fact that for a decade I have played an integral part in producing a high quality product, and generating a healthy profit," says Angela Burroughs - Founder, Proof Brewing Co. "The next generation is watching and I know that my daughter will be a leader in her chosen vocation. I want to make sure she is recognized and respected for her achievements. She needs to know that women and men are equals in all things, especially success." After a successful first year at a warehouse in Fat Village, the festival has moved to a bigger and "pet friendly" location with a bandshell to further deliver on its promise to celebrate women and beer in the best way possible. So far the festival has 25 confirmed breweries with new additions being added on a continuous basis. And will have some planned Brewster talks with some of the Female Beer Experts shattering craft beer’s glass ceiling. The festival also welcomes the return of its now resident Dj. La Trice Perry and a number of female run vendors and food establishments. In addition, the festival is expanding on its female solo artist and female-led band offering by featuring a lineup that includes Drawing Bored, Dyna Edyne, Mona Lisa Tribe and Summer Gill. “Bringing together female brewers from around the state and country, the FemAle Brew Fest is a wonderful representation of just how many women are involved in the craft brewing business," says Frances Antonio-Martineau, Festival organizer and CEO of Fem Collective. "We've created some really incredible friendships at the first festival and many of the Brewsters involved in our first year have been on the lockout for and recommended other females involved in the brewing industry for this year's event." VIP Tickets will be offered at $95 and will include Entrance to the event an hour prior to General Admission, Beer Sampling (2pm -6pm *while supplies last), Admittance to the VIP Lounge, Complimentary bites, Commemorative Gift, Access to Reserved area by stage and Exclusive Food Tasting by featured chefs. Beer Enthusiast rate is $60 and include Entrance to the event an hour prior to General Admission, Beer Sampling (2pm -6pm *while supplies last), and Exclusive Beer Enthusiast Gift. Designated Driver tickets will be offered at $15 and will allow entrance to the event (no alcohol). The festival will be donating a portion of proceeds to the Pink Boots Society and Riverwalk Fort Lauderdale. Pink Boots Society - a non-profit organization with international membership which supports women working in the brewing profession, especially in creating craft beer. Riverwalk Fort Lauderdale - a nonprofit organization responsible for the planning, programming, beautification and promotion of Riverwalk Park and Huizenga Plaza. For more information and a complete list of breweries and sponsors, visit the FemAle Brew Fest website. Fem Collective is community of women collectively supporting the missions, issues and ambitions of women through networking and events. For more information about Fem Collective, please visit www.femcollective.com and @femcollective. UniteUs Group is an advertising and marketing consultancy developed under a new model that unites various synergistic entities under one umbrella to deliver progressive creative that benefits the client and various communities by ways of notoriety, innovation and profit. Opened in 2017 the consultancy applies experiences and a vast network of creative talent nurtured over two decades to execute either solely or with strategic relationships a range of services spanning Strategic Marketing, Interactive Marketing, Market Research, Guerilla Marketing, Public & Media Relations, Branded Content, Brand Design & Identity, Brand Activations, Brand Strategy, Creative Direction, Design & Production, Social Strategy & Execution, Media Planning/Buying, Event Curation, Experiential Marketing, Experience Design, Prototyping, Business Consulting. For more information about UniteUs Group, please visit www.uniteusgroup.com and @uniteusgroup.